Secrets will surface...Accepting Mr. Darcy’s proposal and allowing him to assume a love she does not yet feel pains Miss Elizabeth Bennet but she is certain she can love him…in time. After all of the miseries he endured to salvage her youngest sister her youngest sister’s reputation, how could she not come to love such a man? Unfortunately, Lady Catherine arrives, bringing even thornier complications. With the many objections Darcy’s family will have regarding his marriage to the daughter of an unremarkable country squire, what more trouble can Lady Catherine stir up should she learn Elizabeth’s secret? In this Pride and Prejudice variation, what will Mr. Darcy do when he learns his beloved has accepted him although her heart is not engaged? New through Kindle Unlimited, Recognizing Love is a Jane Austen adaptation of about 73,000 words. 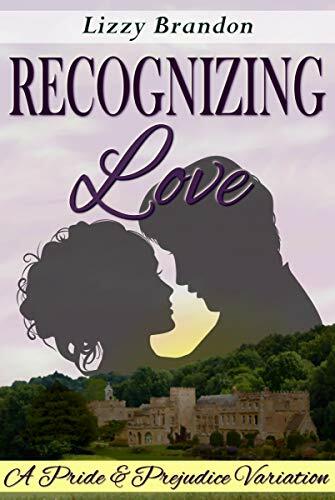 If you are a fan of Pride and Prejudice variations, vagaries, fanfiction, and sequels, check out Recognizing Love today.